Maybe you are looking for something unique, something the expresses who you are as a couple, maybe you just want your wedding to stand out and be fun. Why not have a Halloween themed wedding?? 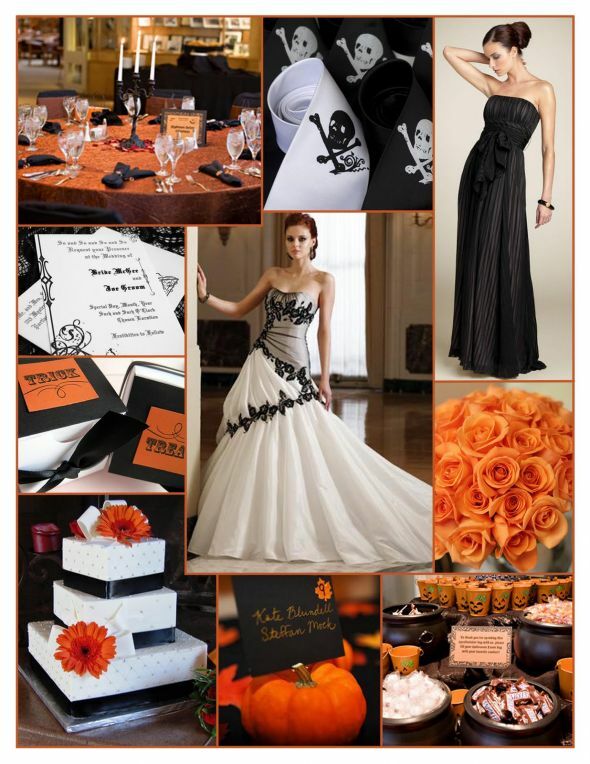 Here are some tasteful ways you can successfully have a Halloween themed wedding. The first step is to embrace the theme … every step of the way. Embrace the Darkness – Let it work for you. Use twinkle lights to emphasize the bare trees, light up pumpkins and lanterns. Embrace the Color – Use the color pallet to pull your theme through. Greys, blacks, oranges and purples. Embrace the cobwebs – This is a fantastic cheap way to have a Halloween themed wedding. Hand spiders from the webs or drape webs anywhere to instantly create the look and feel of Halloween. Embrace the Sugar – Halloween is the biggest time of year for candy. So why not jump on board. Have a candy bar, caramel apples or Halloween shaped treats. Embrace Pumpkins – Nothing says Halloween like pumpkins. Use them as table numbers, general decor or to accent other features to soften your Halloween look. Ask your guest to dress up! Nothing involves people more than asking them to contribute to the look and feel of your wedding by getting involved themselves. Wedding Favors- this is the easiest way to really drive your theme home. So be creative! Have a mock trick-or-treat for kids. Have a pile of candy on each table and then can trick-or-treat around the reception.